Bensouda was a virtual lock for the position. As I wrote back in June, there is little doubt that Bensouda, a previous legal advisor and trial lawyer at the ICTR and the current Deputy Prosecutor of the ICC, is the people’s choice so far. Whether in London, Uganda or on the internet, Bensouda is the name on the tip of everyone’s tongue when it comes to the ICC’s next top prosecutor. She satisfies all the political criteria for the job. Perhaps most importantly, Bensouda provides a degree of continuity and, judging by her professional demeanor, won’t cause too much controversy or havoc at the Court (although some, like Dov Jacobs, argue that her continuity is a weakness, not strength). 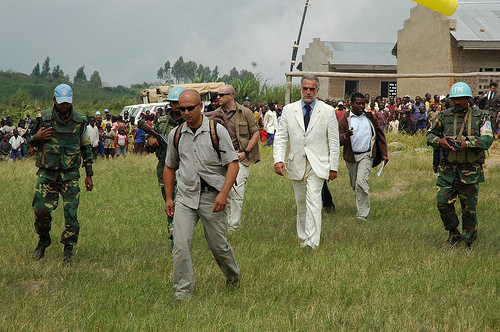 This is particularly important given the controversial tenure of the ICC’s current Prosecutor, Luis Moreno-Ocampo. It is pretty obvious that the AU, and likely many other states, would prefer a secretary over a general as the ICC’s chief Prosecutor. That said, Bensouda’s pedigree and experience suggest that if the AU’s support for her was the result of a belief that may be more amenable to political pressure, I have a feeling that they will be mightily disappointed. It will be particularly interesting to see how the African Union treats the Court if Bensouda becomes Prosecutor. 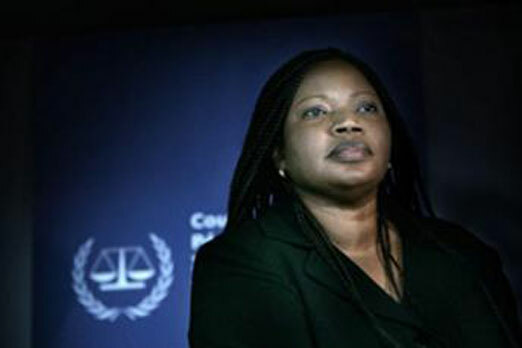 Because of their overt and public endorsement of her, Bensouda will be, for better or worse, “Africa’s Prosecutor”. There remains a widespread sentiment that the ICC has targeted Africa unfairly and that this constitutes a double standard. While the African Union is far from being cohesive on this issue, this view is palpable amongst many of its member states. But what will they say when Bensouda is the Prosecutor? What will they complain about when the Prosecutor herself is African? 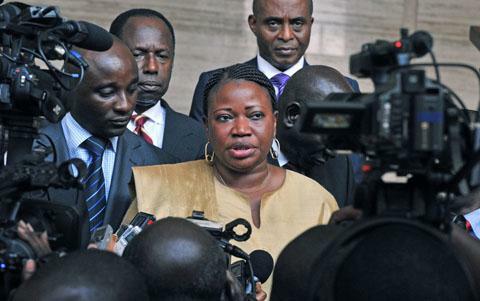 How will the African Union criticize an ICC headed by Bensouda? It is rather obvious that some African Union states simply view the “neocolonialist”, “imperialist” “double standard” argument against the Court as their best defense; as rhetoric which achieves their goal in criticizing and undermining the Court but masking political agendas – including staying in power. These terms are remarkably salient on a continent which has historically experienced so much external intrusion. But such arguments will simply sound foolish when their choice for lead Prosecutor is heading the Office of the Prosecution. Indeed, what will happen when the AU challenges the Court over the arrest warrants of President Omar al-Bashir in Sudan or Muammar Gaddafi in Libya? As an observer it would have been fun to see a hand full of top-flight candidates duke it out for the ICC’s top job. But with Bensouda’s endorsement, it’s hard to see any other candidates emerging as legitimate contenders. Still, we shouldn’t be fooled by Bensouda. Just because she appears much more reserved and is much less infatuated with the media than Moreno-Ocampo, doesn’t mean she won’t stir the pot. Indeed, can you really be the chief Prosecutor of the International Criminal Court and not cause at least some controversy? This entry was posted in African Union (AU), Fatou Bensouda, International Criminal Court (ICC), Next ICC Prosecutor. Bookmark the permalink. As an African and an international lawyer, I am growing increasing tired of the blanket statements and AU bashing that takes place. For the record, the AU as a body corporate has NEVER said that the Court is a neocolonialist tool. I challenge anyone to show me proof of this. We must understand that within the context of Africa there are 3 things, the position of the AU, the position of African States and the position of African citizens. Yes, the AU has issues with the Court, but if one seriously examines the claims which center around prosecutorial discretion, sequencing, and the role of the Security Council, you will note they are very legitimate. The AU has consistently maintained the need to end impunity and is progressively enhancing human rights standards on the continent. That being said, the AU has made mistakes over the years most recently its delayed response to the Libya crisis. The international justice community if it is indeed international needs to pay more attention to African concerns about international justice. Thanks for your very interesting and provocative comment, Selemani. I particularly appreciate your view that the AU cannot be considered as a monolithic entity. It was for this reason that, in the post, rather than saying it is the AU, it is “some African Union states simply view the “neocolonialist”, “imperialist” “double standard” argument against the Court as their best defense” and that “the African Union is far from being cohesive”. Perhaps I did not make these distinctions clear enough. I agree that the AU has expressed some legitimate concerns, concerns which I couldn’t cover in this post which was focused more on the “double standard” critique and how this criticism and the rhetoric it comes with is challenged if the AU’s choice for Prosecutor is successful. Lastly, I think that non-African states will acquiesce to the AU very political demand for an African Prosecutor in Bensouda. Whether they do so to pay lip-service to the legitimate concerns the AU has regarding the Court’s functioning on the continent or because they are actually paying attention to African concerns, is another issue altogether. Many thanks again and if you have any AU-ICC related sites or documents to share, please do!